Internationnal Land Art Project book gives an insightful interpretation of the art project that was held at Falland in 2014. 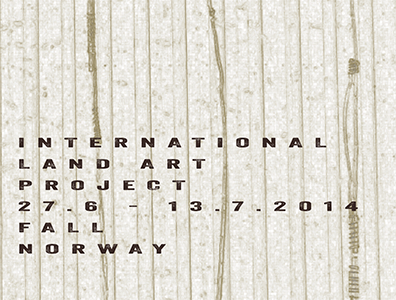 The project included seven artists coming together from different countries. Alison Clouston, Boyd, Sue Pedley from Australia; Kaisu Koivisto from Finland; Egil Martin Kurdøl, Kjell Samkopf and Caroline Ho-Bich-Tuyen Dang from Norway. During the two weeks, the artists drew on stories, meetings and impressions from the surrounding area to create site specific works for the project. The book include images of the artists at work; their completed works during those two weeks and in the following months through Autumn, Winter and Spring. Interwoven throughout the book are writings by the artists, and essays by professor Hans–Jørgen Wallin Weihe and Øystein Wang gives informative context and setting to the project.